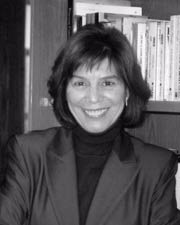 Maria is professor of English and Comparative Literature at Princeton University specializing in twentieth century literature and film. She has written widely on modern culture, analyzing works by Thomas Hardy, James Joyce, Joseph Conrad, Edith Wharton, F. Scott Fitzgerald, Elizabeth Bowen, Samuel Beckett, Christopher Isherwood and Toni Morrison. Her latest book is Fast Talking Dames, a study of women in screwball comedies of the thirties and forties. She received the President’s Distinguished Teaching Award in 1994, and in 1999 was honored with the Howard T. Behrman Award for Distinguished Achievement in the Humanities. She currently chairs the AP Literature Development Committee and for many years served on the Marshall Selection Committee. From 1999 to 2007, Maria served as Master of Rockefeller College, one of Princeton’s residential colleges.